I’m not shy about the fact that, uh, my relationship with breastfeeding was, uh, complicated. Adoption. High-risk twin pregnancy resulting in near-death. ICU and NICU stays. Tandem twin feeding. Everything about me and breastfeeding is complicated. However, there is nothing complicated about THIS. I’m still happy that it’s National Breastfeeding Month and I honor it with this photo. 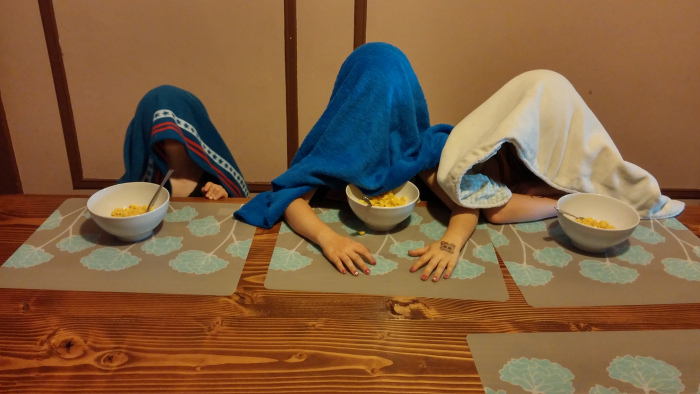 In honor of National Breastfeeding month, I made my kids eat their lunch under a blanket just like the old days of when they were infants. It turns out it isn’t the ideal way to eat. Who knew? ← Let’s Be Okayest Together! Facebook page launch!